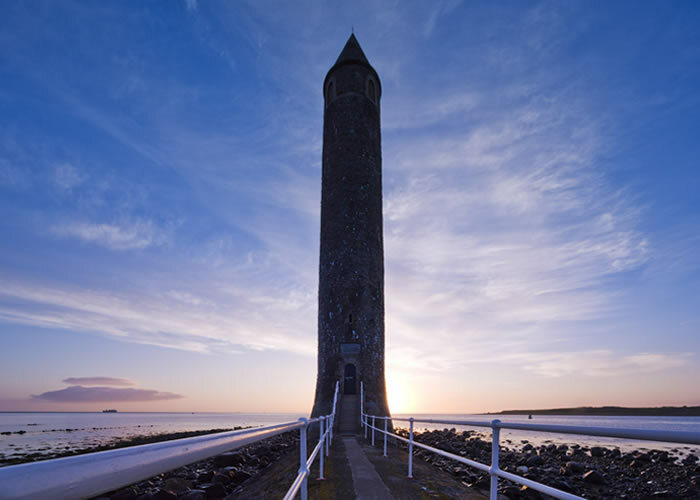 Situated at the entrance to Larne Lough this cylindrical stone tower lighthouse with conical roof meets all visitors to Larne who come by sea. The Tower was built in memory of James Chaine who was a member of parliament and contributed much to the development of Larne Harbour. The Tower is a replica of an Irish Round Tower built in 1887 to a design by a well-known local architect. The Tower stands 27m high and 7.5m wide at base. it is constructed with squared Annalong granite.